Shortly after the Brexit vote in the UK, France took over the position as the world’s fifth largest economy. The “Grande Nation” has a very vital startup ecosystem and with Paris one of the leading startup hubs in Europe. Given that France itself represents quite a big market, many French startups still tend to build products and services for their home market first (or only) instead of building international companies right from the start. Nevertheless, France already “produced” quite a significant number of tech success stories. Companies like BlaBlaCar, Criteo, Deezer and Dailymotion were all created in France. 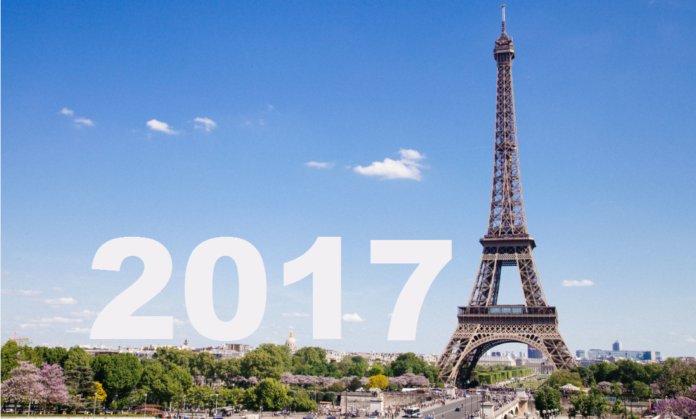 In the beginning of this year we took a close look at the French startup scene with the goal to provide you with a list of 10 promising startups to watch in 2017. All of the startups we’re listing below were founded within the last two years and each one of them is -at least in our view- heading towards a successful future. talent.io aims to provide the simplest way for software engineers to find great jobs in innovative companies. Over 10,000 developers and 1000 companies (including Deezer, Blablacar, Parrot, Zalando and N26) have already signed up on the platform and hundred of offers are made every week to software engineers looking for their next dream job. 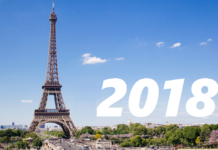 talent.io was founded in 2015 and is headquartered in Paris. The young company also operates in Lyon, London, and Berlin. talent.io secured a substantial amount of seed funding from well known investors like Alven Capital, Elaia Partners and Ventech. BEEKAST is an application that allows you to interact live with a presentation. The goal of the Paris-based startup is to provide the best solution to make your original presentations moments of exchange and collaboration. There is no need to download it ahead of time. BEEKAST allows you to instantly access a feed of comments and contributions such as polls, quizzes, and surveys created by the speaker or event organizer for audience participants to respond and interact during the presentation. All of the contributions can easily be projected by the speaker on his or her smartphone. Founded in 2015, BEEKAST already was able to raise more than $3 million in venture capital. Agricool is building a sustainable food system by growing local, tasty and pesticide-free fruits and vegetables for everyone. To achieve this goal, the Paris-based startup created a paradise for fruits and vegetables in recycled shipping containers. That means the best lighting, temperature, irrigation, and air quality. In just 35 m2 Agricool can produce the same amount of food as 4000 m2 of traditional farmland. Founded in 2015, the startup does this with no pesticides, no transportation, and 100% renewable energy. Agricool so far secured about $4.3 million in funding. Recast.AI is a collaborative natural language platform for developers. The Paris-based startup aims to teach machines how to understand humans. With Recast.AI you can build your own conversational bot. With more than 5,000 developers using the platform who have created more than 8,000 bots in less than 10 months, Recast.AI capitalizes on this technological and user experience expertise by assisting businesses wishing to implement new interfaces powered by conversation. Founded in September 2015, Recast.AI was already able raise about €2 millions in seed funding. Invivox is a worldwide medical platform connecting medical experts and doctors for in situ (inside the OR) trainings in 1 to 1 (or in small group), for all medical specialties. By setting up these practical trainings between doctors all over the world Invivox contributes the ultimate benefit of the patients. The Pessac-based startup aims to recreate the “companionship” between doctors. Founded in 2015, Invivox so far secured about €1.2 million in venture capital. Sqreen is an automated and real-time security solution for web and app developers. The startup provides protection against most common vulnerabilities, such as SQL injections, cross-site scripting or code injection. Founded in 2015 an headquartered near Paris, Sqreen is a SaaS protection service that installs in 30 seconds without source code modification or traffic redirection. So far, the promising startup secured roughly $2.3 million in seed funding. PayFit: By using the software-as-a-service solution of the Paris-based startup PayFit, paying employees has never been easier. PayFit allows SMEs to easily manage the pay and leave of their employees. No specific knowledge in payroll is required. All the employer needs to do is answer a few simple questions and the pay sheets are generated automatically. Founded in 2015, PayFit closed a Series A funding round of €5 million in October of 2016. Right now, PayFit is only available in French, but the company plans to launch in 3-4 European countries in the coming months. Qonto: The Paris-based FinTech startup provides an online banking service that allows entrepreneurs, startups and SMEs to create an account in less than 5 minutes. With Qonto you can instantly receive an IBAN and get started to manage your company’s physical and digital business cards and perform your day to day operations. Founded in 2016, Qonto will enter into beta phase in March and become available to a broader audience by the a few weeks later. In the beginning of this year, Qonto raised $1.7 million in seed funding from Alven Capital, well known business angels, as well as from Valar Ventures, the venture capital fund backed by Peter Thiel. Heek is a conversational website builder which helps individuals create their website by chatting over text and answering questions. The platform has a conversational interface where chat bots asks questions about the users, the type of business they have, and their sites. Heek is easy-to-use and also offers a variety of templates where users can choose for their websites. The Paris-based startup was officially founded in 2016 and secured about €700K in seed funding. 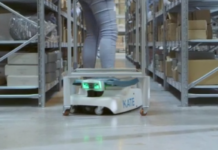 Exotec Solutions is a promising French robotics startup, which recently launched an order preparation system powered by a fleet of collaborative mobile robots. The startup’s centralized intelligence system coordinates both mobile robots and humans perfectly. 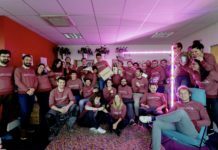 The Paris- and Lille-based startup was founded in 2015 and by the end of 2016 it raised €3.3 million from 360 Capital Partners, Breega Capital and several other investors.